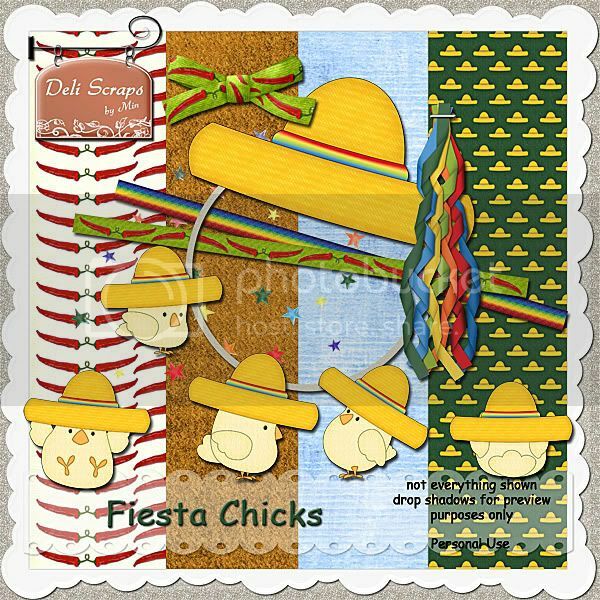 Fiesta Blog Hop to celebrate iNSD!! Hola and welcome to our Fiesta Blog Hop! One last thing, on Sunday the Studio’s May Progressive Scrap Challenge will start – I’d love to see you joining me there! Have a great “Fiesta Weekend”! Thank you so much for this post. I want to let you know that I posted a link to your blog in CBH Digital Scrapbooking Freebies, under the Page 2 post on May. 06, 2011. Thanks again. thanks so much! What a fun day it is! thanks for the mini with the chilis! This has got to be one of the cutest things I've seen all day! Wonderful – thank you so much! Thank you! Glad I was still able to download this! Grew up in San Antonio, Texas and Fiesta is celebrated every year!! This kit will be perfect for those pictures! Thanks for sharing and being a part of the Fiesta Bloghop. I appreciate your generosity!